Another wine from this awesome winery in Mclaren Vale, Australia. This bottle is a blend of Cabernet Sauvignon, Merlot, Cabernet Franc and Petit Verdot- the cornerstones of the Bordeaux blend. I was really excited to try this as the blend is right up my alley. Bold and beautiful in the glass it showed its power right away. 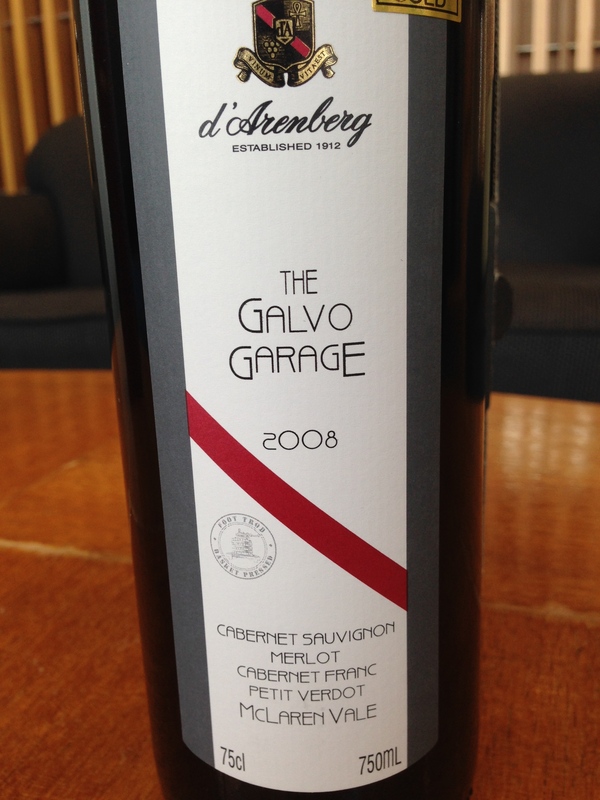 Plums and Black cherries with a rich and smoky oak came blasting throughout the gripping tannins. On the backend came a eucalyptus tinge that was very interesting. The wine is very young and in need of cellaring, perhaps from 2014- 2020 is where I would think it’s peak is. Great balance and structure make this $23 wine a bargain. Think Roast Beef and this wine will sing. 91 points and 5 stars from me. I think I need to get more for the dungeon. Salut….